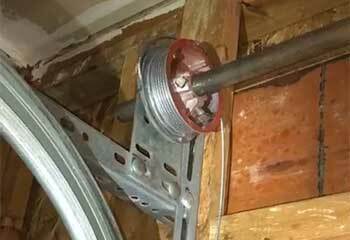 Need some help dealing with a broken garage door spring? Is your opener acting up all of a sudden? Well, then you've found the right team to help you. Our company has over a decade's worth of experience dealing with any type of issue you can imagine, and our technicians have the wealth of experience and skill necessary to safely handle these complex systems quickly and effectively. Of course, fixing garage doors isn't all we do – we also install them! We work with the best brands in the business, including Clopay, Amarr and Raynor, and we offer our customers the very best models available today. Whether it's beautiful cedar wood panels that picked your interest, or sturdy and durable steel sections, we will help you find the very best door for your home. Some garage door problems can't wait for tomorrow, or sometime next week, which is why our team maintains a same day service policy, to ensure that any local homeowner who calls us, will get the assistance they need, when they need it. We won't waste any time getting to your home and fixing your problem. You may be looking to replace the motor unit that automates your door, which we can also help you with. We can offer you ultra-quiet genie belt drive openers, extra strong and reliable LiftMaster chain drive units and various other models made by different industry leading brands, including ones that employ a direct drive system. We'll help you take everything from horsepower requirement to noise output into consideration, and then set the new unit up in your garage and make sure that all of its features are working flawlessly. As we mentioned earlier, we're the team to turn to if you're looking to have a new door installed. Our experts will be happy to consult you on the various factors that need to be considered, such as R-value (insulation level), weight (in order to match your opener's horsepower output) and durability. We will take precise measurements of your garage to determine what type of door will be the best fit, then present you with several options and install the one you choose at your convenience. If you really want to get the most out of your door, and you also want to prevent as many issues as you can, then we recommend that you have our technicians service your door on a regular basis. We will adjust the tension of the springs, lubricate the hinges and the rollers, and test the opener's safety features in order to ensure that they're working correctly and that the door is safe for you to use. This will help the system last longer, and save you money on expensive repairs in the long run. 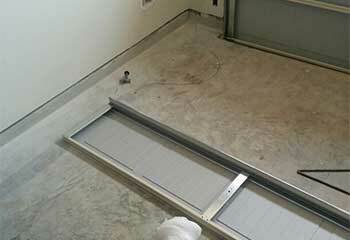 No matter which part of your door system breaks down, you can rest assured that our experts can handle it. We can repair bent tracks that force the rollers to slide out, as well as misshapen panels that become dented due to an accidental car bump or from a powerful storm. We only use top quality replacement parts when fixing a problem, because we don't believe in cheap substitutes that break down a week later, and we want our work to last for as long as possible. 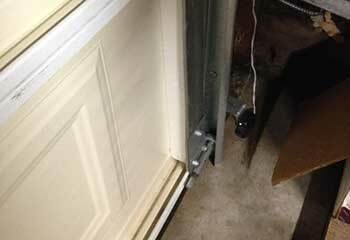 More often than not, that urgent problem turns out to be a broken garage door spring. This is by no means an easy issue to handle, so we urge you to always seek professional help (hopefully ours) when faced with such a problem. These hardworking components can be downright dangerous when they're mishandled, so replacing them safely is something that our technicians are experts at. We will remove them carefully, install new units in their place, and then make sure they are well adjusted and that your door is balanced and able to open and close without any issues. A broken lift cable isn’t something you want to leave unfixed! 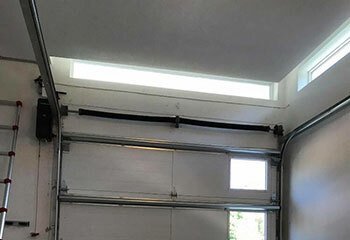 Learn how the team replaced this customer’s garage door cables here. 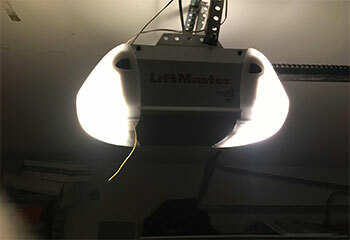 Click here to read about one of our latest garage door opener replacement projects. Did your door get damaged? Give our team a call then. Here is how we helped this customer with a similar issue. Is your door acting up? It could be a safety sensor problem. Our experts can help you fix it. Learn more here. Dealing with a broken spring? Not to worry. Our team can help. Take a look at how we assisted this customer. I wanted to say it was a pleasure working with you - thanks for all the hard work you put in to bring my door back to life when the springs snapped. I need to thank you for the wonderful work you've carried out on my garage door which now looks and sounds awesome. Thank you for providing great service. Just wanted to say a few words of thanks for the quality service you provided last week. From scheduling to the opener repair, you were absolute stars!